L O O K A T A L L T H I S M A K E U P . . .
That is so freaking hard to find. Seriously. I call this an 'American' Makeup Haul because these US-based brands are hard to find here. A rare commodity, lauded by the few who manage to grab it. International shipping is horrible, expensive and time-consuming. It would take months before they arrived, friends warned me. These arrived late, three months after purchase. However, that was my own fault. A story for a later time. Now, we'll focus on these products. 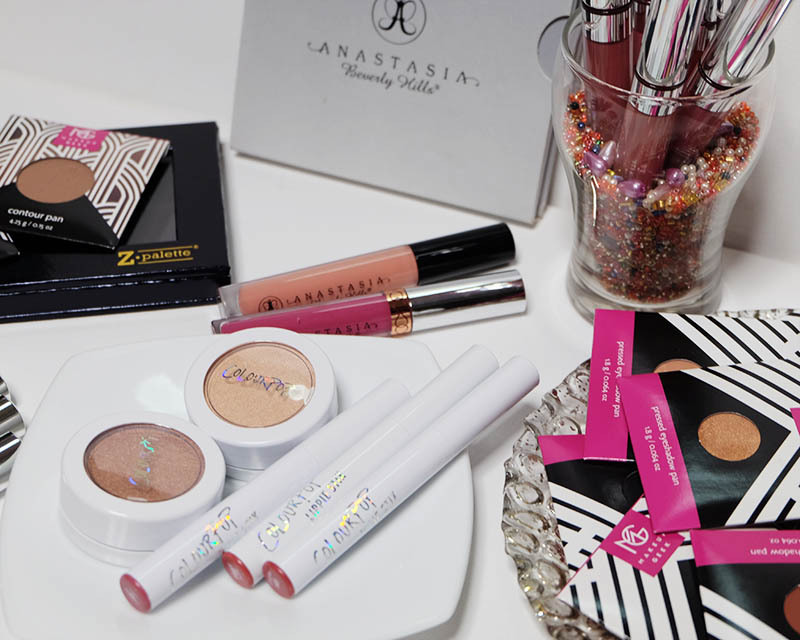 We bought more Anastasia Beverly Hills products but these arrived first, in May. The rest will arrive 'eventually,' I say optimistically but unrealistically. 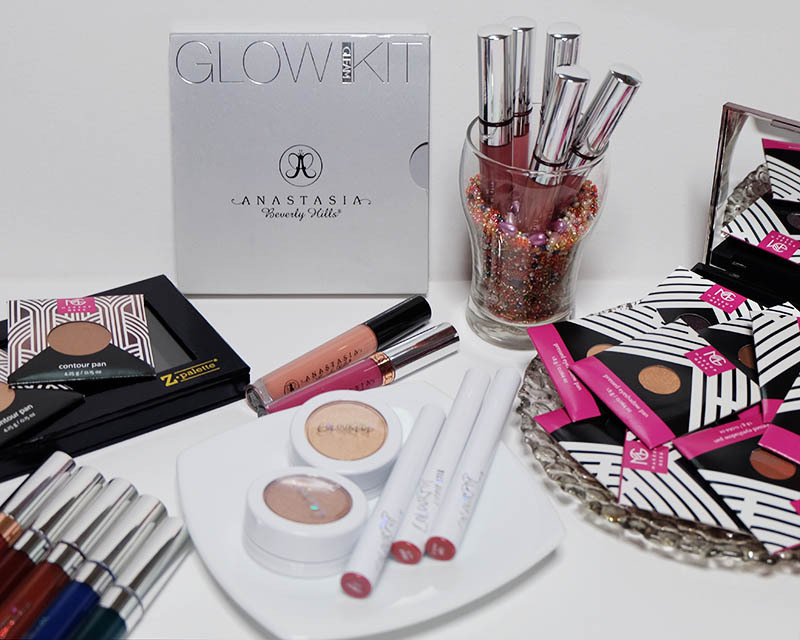 The most prominent addition to the collection is Anastasia Beverly Hills Glow Kit in Gleam (US$40). This cool-toned palette features four highlighters; Hard Candy, Mimosa, Starbust & Crushed Pearl. I've used this product in an Eid Look video before, for both me and my sister. Crushed Pearl being perfect for my pale skin and Mimosa for my sister's sweet tan. We also purchased some liquid lipsticks and glosses. For Anastasia Beverly Hills Liquid Lipsticks (US$20) in Catnip, it was the only one to arrive so far. We also noted down their Lip Glosses (US$16) in Kristen and Butterscotch. Only time will tell if I enjoy these lippies. We cannot order from ABH without purchasing their most prized possession. Their Dip Brow Pomade in Dark Brown. I forgot how strong and pigmented they are, compared to NYX Brow Gel, though pigmented its own right. My mother also picked up their Brow Wiz in Dark Brown, just for the sake of a good brow pencil. 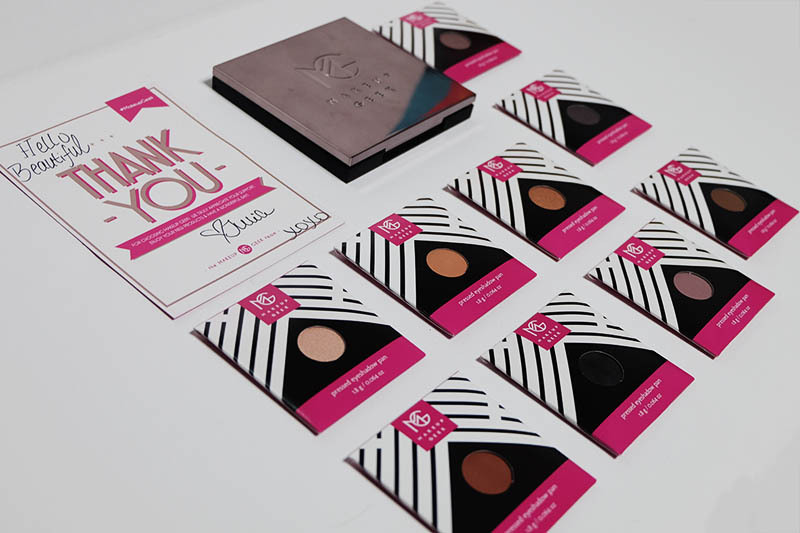 Since Makeup Geek Eyeshadows are lauded in the beauty community, we purchased the Starter Kit and Vault Palette (US$62). A way to feel their most popular shadows. It contains 9 Shadows which are Cocoa Bear, Mocha, Glamorous, Creme Brûlée, Shimma Shimma, Drama Queen, Prom Night, Unexpected & Corrupt. 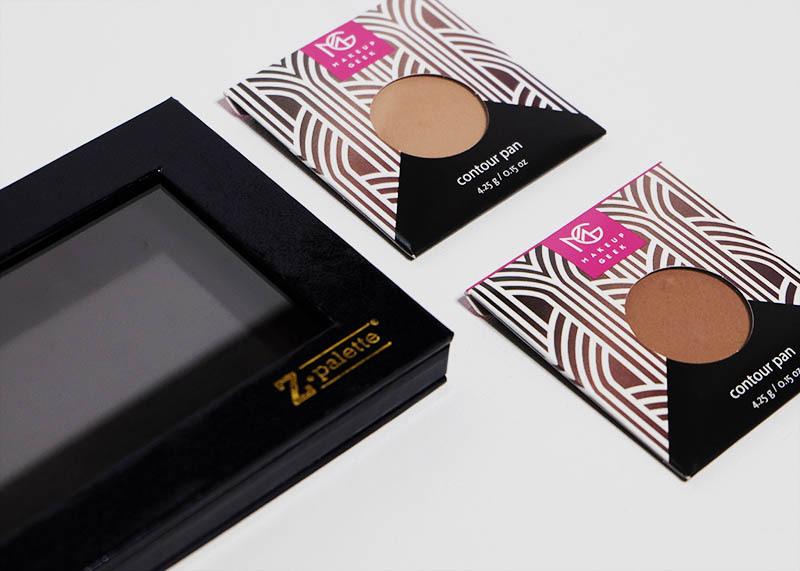 While we were looking through the store, we found Z Palette in Size Medium (US$17). It was a pragmatic purchase, I thought. Easier to keep our singles shadows or face powders. Such as Makeup Geek Contour Pan (US$10) in Love Triangle - Warm Porcelain and Complicated - Cool Medium. 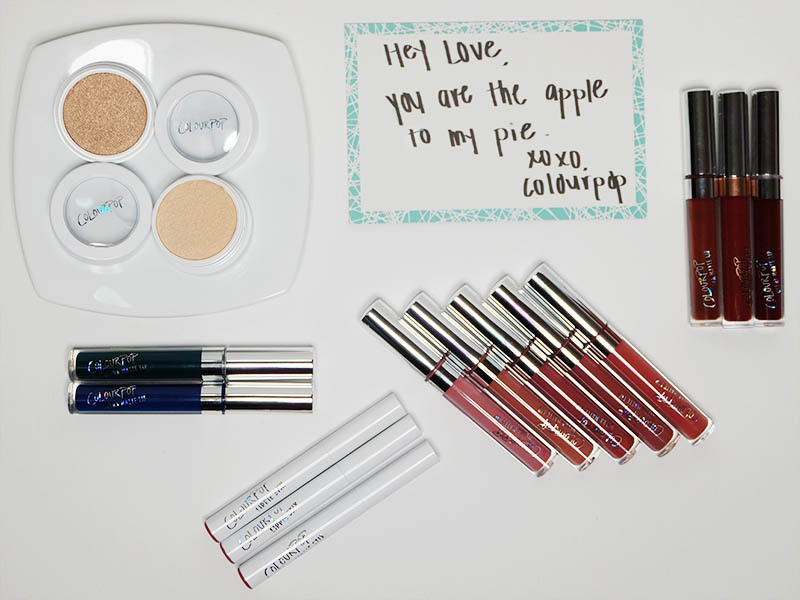 Oh ColourPop. Drugstore Dupes for such problematic brands. 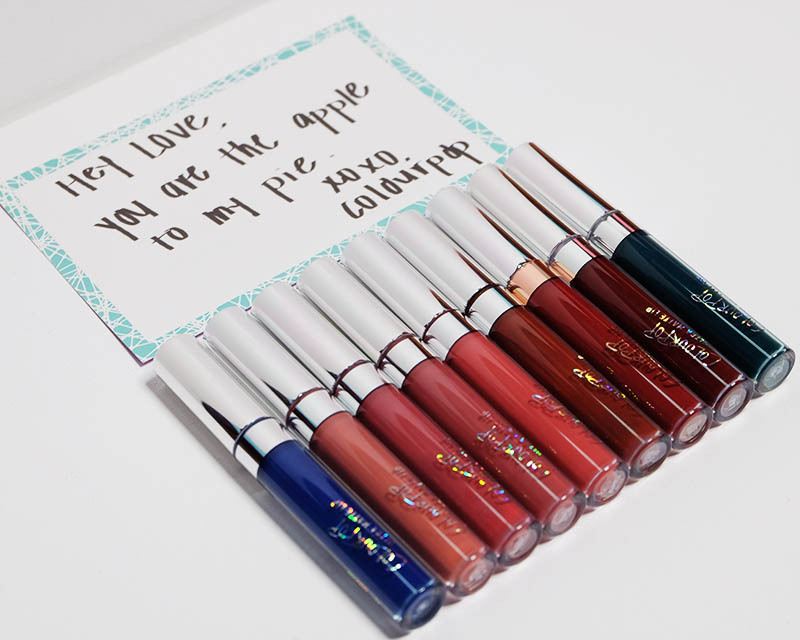 We purchased Bianca, Beeper, Stingraye, Teeny-Tiny, Bumble, Limbo, Rooch, LAX, Jellies & Dr. M. A total of 10 ColourPop Ultra Matte Liquid Lipsticks (US$6), all thick and pigmented. And will be reviewed in the near future. Though, most likely separated. 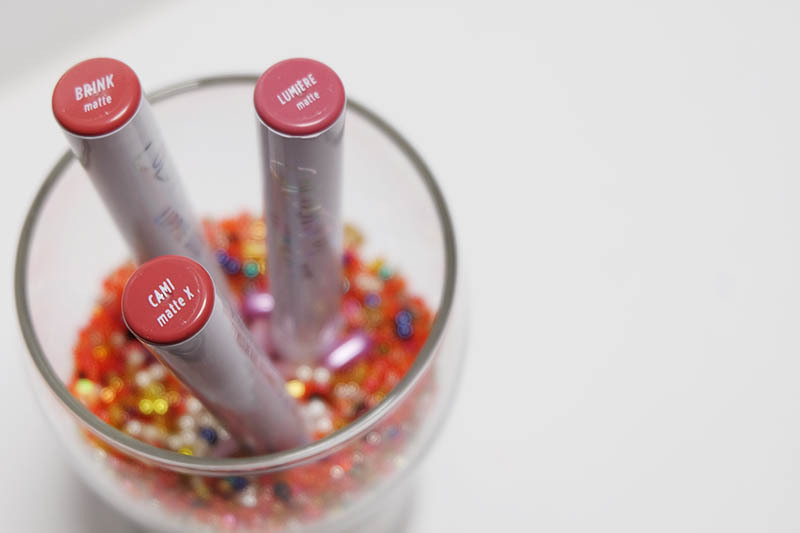 Though for more natural looks, we bought their Lippie Stix (US$5) in Brink, Lumiere & Cami. Described as creamy and buttery, these are more suitable for every day. Seeing as they are nudes. They are much more wearable than liquid lipsticks, though that's just my first impression. My sister and I also bought highlighters for ourselves. Because highlighter is an essential you must never skip. We researched which would be suitable for our skin tone, settling for Super Shock Cheek Highlighter (US$8) in Wisp and Lunch Money. So many pretty products to try. Oh, I am excited. I can't wait to use these products in tutorials and reviews. I'm disappointed I have such limited makeup products, reusing the same ones over again. I'm disappointed I don't have enough to review, but now I can.